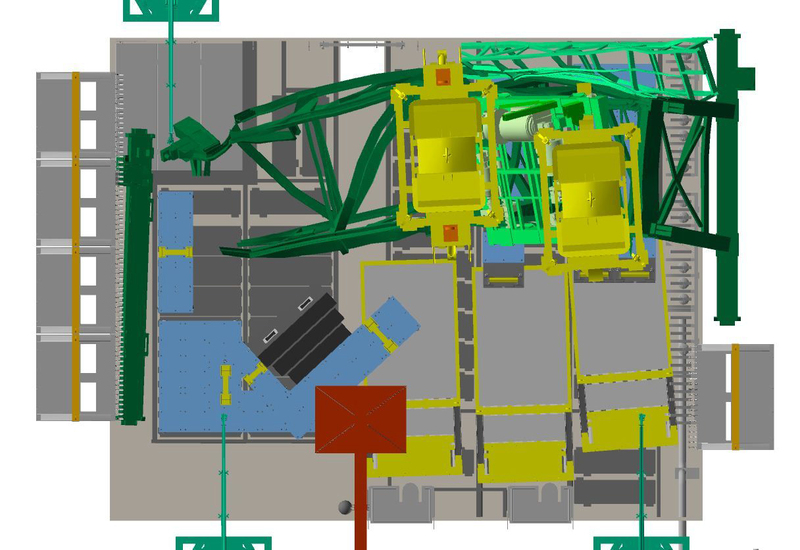 Tokyo Electric has announced a new plan to attempt to retrieve the fuel handling machine that fell into the Fukushima Daiichi Unit 3 spent fuel pool. 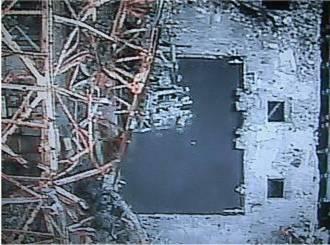 TEPCO has been working to remove the fuel handling machine from the spent fuel pool in parts. Previous attempts to retrieve debris from the spent fuel pool were halted after dislodging debris which fell back into the pool and oil was found to be leaking from some of the parts collected. 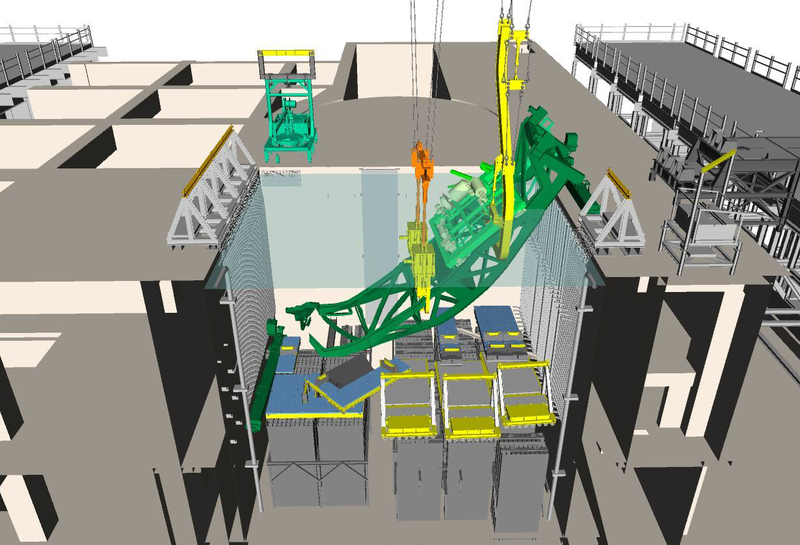 The fuel handling machine, as seen from the south, is resting on the spent fuel racks. 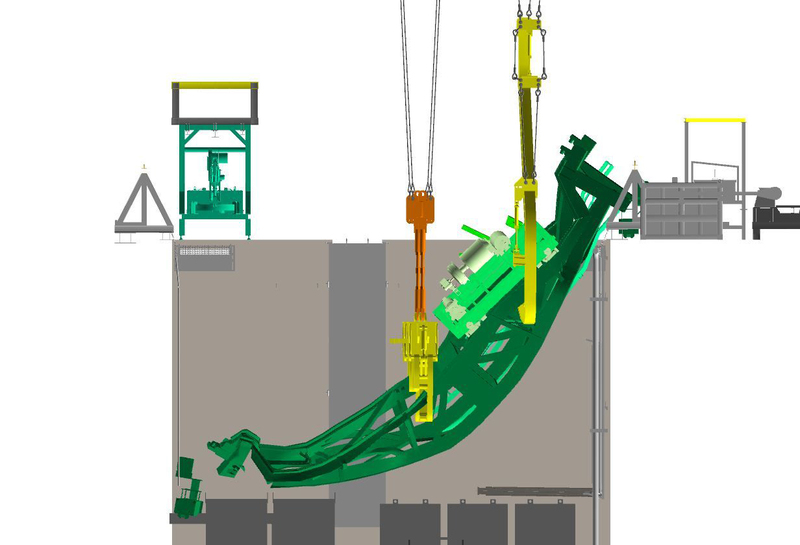 Both cranes will be attached to the fuel handling machine. 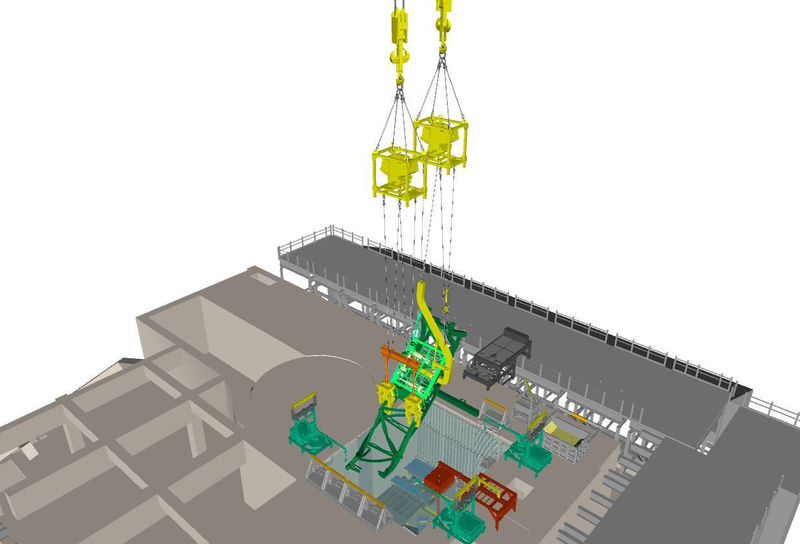 The fuel handling machine will be removed at the same angle it is resting in the spent fuel pool. 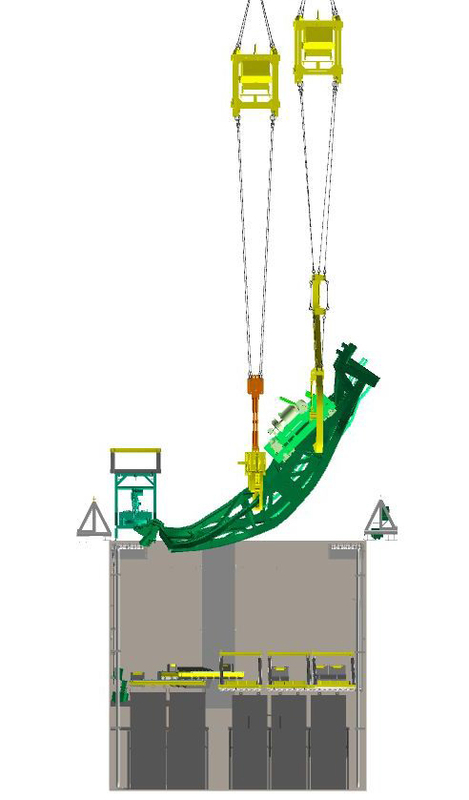 Image showing lifting of fuel handling machine. 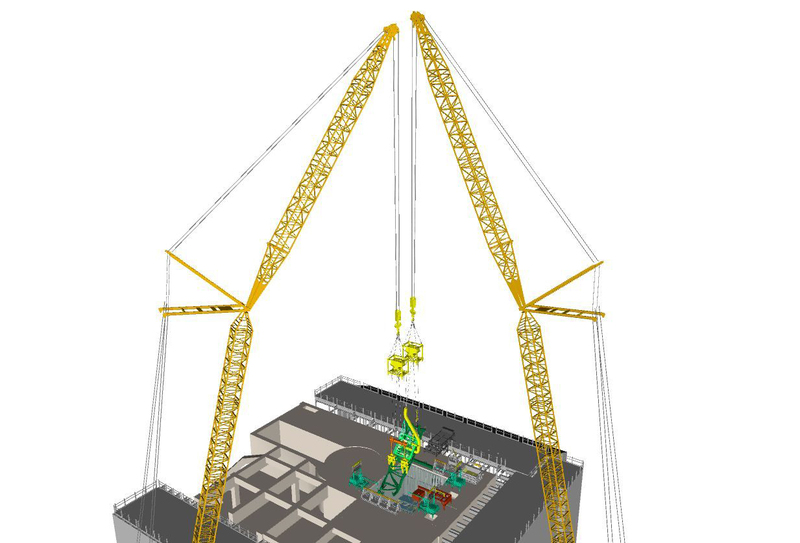 TEPCO plans to use two remote-controlled cranes to remove the fuel handling machine, which is currently resting on top of the spent fuel racks in the spent fuel pool.